Call Our Tampa Injury Lawyers Today! Thank you for your interest in our Tampa, FL personal injury law firm. Our personal injury lawyers here at Link & Smith P.C. want to ask you one simple question: Who wouldn’t want to live in Tampa, FL? Tampa is a beautiful city located in a temperate part of Florida, just a short drive from the Gulf of Mexico beaches. The greater Tampa Bay area boasts a population of just over 4 million, making it a city with both the benefits of a smaller community, and a thriving metropolis. In addition, Tampa, FL was recently ranked by Forbes Magazine as the 5th “outdoor city.” It was also ranked as one of the top cities for “twenty-somethings,” demonstrating that Tampa is both hip and quaint. However, every city has its drawbacks, and one of the major problems with Tampa, FL is the rate of car accidents. Tampa, FL has thousands of car-accidents per year, including fender-benders and deadly accidents. Needless to say, if you’re a Tampa resident, you need legal protection from such personal injuries. 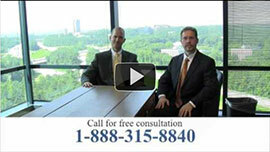 You need personal injury attorneys who specialize in car accidents and tractor trailer accidents. Our accident attorneys here at Link & Smith P.C. serve injured persons in a plethora of cities across the Southeast. However, just because our firm is far-reaching, this doesn’t mean that our attorneys cannot meet the individual needs of each and every client that they represent. Our Personal injury lawyers are regarded as the “accessible lawyers.” This means that when you call our offices, you will be speaking directly to an individual, not an automated voice machine. Our injury lawyers are more than willing to meet with you in person at your convenience to discuss your accidents. …and a variety of others. At Link & Smith P.C., our injury attorneys recognize that Tampa, FL needs legal representation that works. Both Mark Link and Houston Smith are dedicated to helping injured persons in Tampa receive the just compensation they deserve. With our injury attorneys, they can help you receive compensation that can cover your lost wages, medical bills, and personal damages. Thus, you can see how it is absolutely essential that you hire a top-notch injury lawyer. While other lawyers will charge prospective clients with just a few minutes of consultation, our personal injury attorneys offer prospective clients convenient, complimentary consultations. If you’re in need of a Tampa injury lawyer don’t hesitate to call Link & Smith P.C. today at 813-702-1892.